Most fresh cheese is made by curdling milk with an enzyme, and then draining off the whey. The curds that remain are molded into cheese. 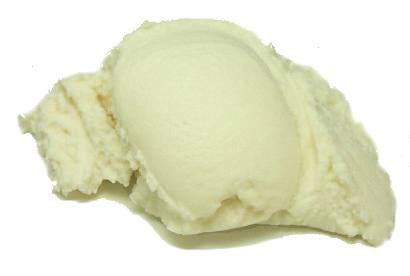 Fresh cheeses tend to be bland, so they're often used as vehicles for other flavorings. 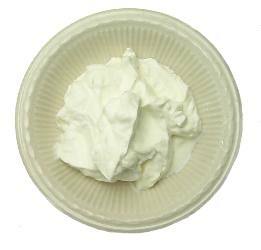 Some, like cream cheese, are used to make dips or cheesecakes. 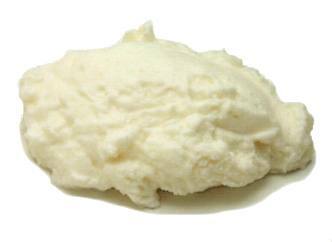 Others, like ricotta cheese, are used as fillings for dumplings, pasta, crepes, or pastries. Still others, like cottage cheese, can be a meal all by themselves once they're perked up with herbs, fruit, or other flavorings. Fresh cheeses have a higher moisture content and are usually lower in fat and sodium than other cheeses. Most are highly perishable, so check the expiration date when you buy them and keep them tightly wrapped or covered in the refrigerator. Moist fresh cheeses like cottage cheese and ricotta should be eaten within a week of purchase; firmer cheeses like cream cheese and farmer's cheese can usually be stored for about two weeks. Don't eat fresh cheese if mold appears on it. Fresh cheese work best in cold dishes. Fresh cheeses tend to break when added to hot sauces, so add them at the last minute. Lactose-intolerant people may prefer aged cheese over fresh, since aged cheese contains less lactose. 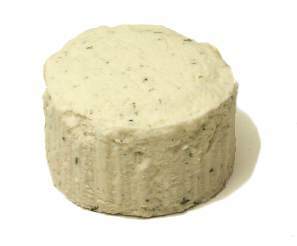 Boursin [boor-SAN] This creamy cheese from France is usually flavored with herbs, garlic or coarse ground pepper. It's mild and delicate, and goes well with fresh bread and dry white wine. Boursin is considered better than some other flavored spreadable cheeses, like Alouette or Rondelé, but none of these cheeses are well regarded by gourmets. Store Boursin in the refrigerator but bring it to room temperature before serving. Eat it within a few days of purchase. chevre frais See goat cheese (fresh). 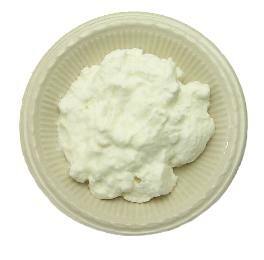 cottage cheese = smierkase Notes: This simple, mild cheese was traditionally produced in Europe's "cottages" from the milk left over from butter making. It's versatile, easy to digest, and a good source of protein. It's sold with either large or small curds, and with fruit or chives sometimes added. Use it within a few days after purchasing and discard if mold appears. It's best served chilled. To make your own: To make 2 cups (one pound), heat a gallon of skim milk to 80ºF (27ºC) using a double boiler (don't use aluminum or cast iron). Dissolve 1/4 tablet of rennet in a few tablespoons of cold water, then stir it into the milk using a whisk for a few minutes. Turn off the heat, cover, and let the mixture sit for about five hours at room temperature. Use a knife to cut the curds into half-inch cubes, then let them sit for about 15 minutes more. 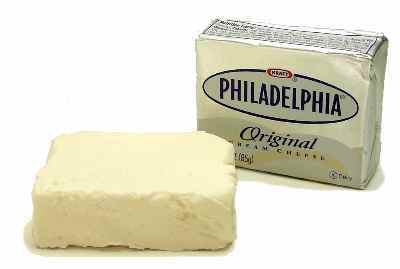 cream cheese = (in Europe) white cheese = queso crema Equivalents: 2 cups cream cheese = 1 pound Notes: An American favorite, cream cheese is a terrific spread for bagels and nut breads and a key ingredient in cheesecake and other desserts. It comes in low-fat and nonfat versions; these work well as spreads but compromise the flavor and texture of cheesecakes. Cream cheese made without stabilizers is also disappointing in cheesecakes, though it makes for a more acidic and flavorful spread. Store in the refrigerator. Unopened foil-wrapped commercial cream cheese is good for about a month after the "Best when used by" date on the carton. Once opened, you should use it within 10 days. Throw it out if mold appears. Substitutes: Neufchâtel (lower in fat and moister than regular cream cheese) OR equal parts ricotta and yogurt OR soy cream cheese OR tofu (use 3/4 cup tofu + 1/4 cup margarine + 1 tablespoon lemon juice to replace one cup cream cheese). 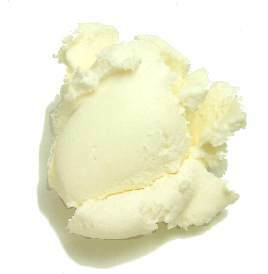 OR yogurt cheese (usually lower in fat than cream cheese) OR buttermilk cheese (usually lower in fat than cream cheese) OR tofu cream cheese To make your own: Combine 2 cups milk and 2 cups whipping cream and heat the mixture in a double boiler (not aluminum or cast iron) until it's about 90ºF (32ºC). Remove from heat and stir in 2 tablespoons cultured buttermilk, cover, and let rest in a warm place for one or two days until it has the consistency of yogurt. Pour the mixture through a colander lined with butter muslin (or several layers of cheesecloth) and drain for several minutes. Replace the muslin or cheesecloth and nest the colander in a deep bowl, wrap tightly with plastic wrap, and put the bowl into the refrigerator and let it continue to drain for a day or so until the cream cheese has the desired consistency. Add salt to taste. farm cheese See farmer cheese. fresh chevre See goat cheese (fresh). fresh goat cheese See goat cheese (fresh). Hispanic cooks like their cheese bland and salty, the better to complement their spicy sauces. They also want cheese to hold its shape when heated. Monterey jack, the standard substitute for Hispanic cheeses, tends to ooze out of chiles rellenos and enchiladas when baked. 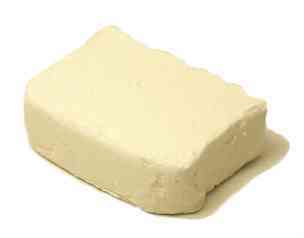 Authentic recipes call for panela or queso blanco, which soften but don't melt when heated. 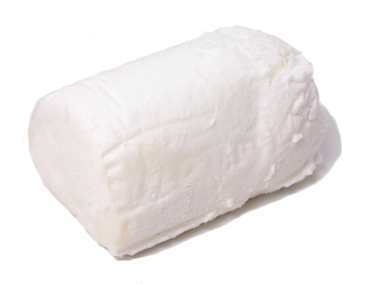 Hispanic fresh cheeses often keep better than other fresh cheeses--some can be stored for months in the refrigerator. fromage de chèvre frais See goat cheese (fresh). 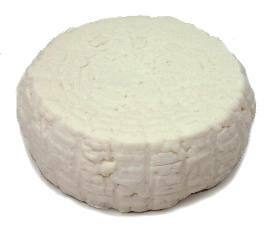 fromage frais Pronunciation: froh-MAHZH FRAY Notes: This is the French term for "fresh cheese." This category includes fromage blanc, Petit-Suisse, and chevre frais. Indian curd cheese See paneer cheese. 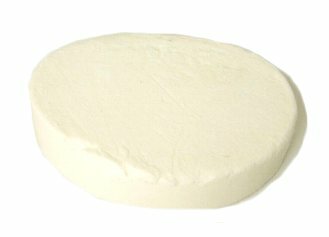 paneer cheese = panir cheese = Indian curd cheese Notes: Indians like to serve this bland fresh cheese with spinach or peas. Use within a few days. Substitutes: cubes of firm tofu OR feta cheese (much saltier) To make your own: Bring one gallon of whole milk to a boil, stirring regularly. (It's best to use a double boiler to avoid scalding the milk. Don't use an aluminum or cast iron pan.) Remove from heat, then gradually add lemon or lime juice until the mixture curdles (about 3-4 tablespoons). Cover, and let the mixture sit for a few minutes. Pour the mixture into a cheesecloth-lined colander and allow the curds to drain. Rinse the curds with water and allow to drain some more, then fold the cloth around the cheese and use a weighted plate to press more moisture out of it for a few hours or until it becomes firm. 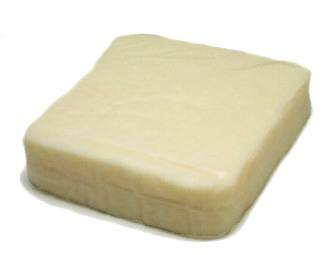 panir cheese See paneer cheese. pressed cheese See farmer cheese. queso de metate See queso fresco. 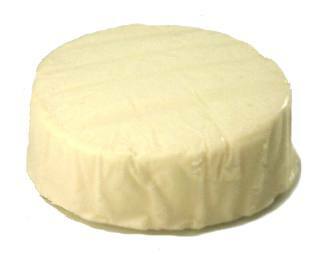 Requeson cheese = Requesón Notes: This fresh Hispanic cheese resembles ricotta cheese, and is used to make dips and desserts. 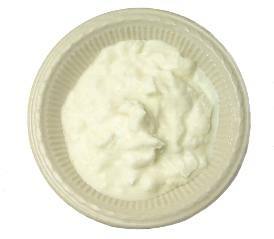 Substitutes: ricotta cheese OR Mix equal parts ricotta and cottage cheese, then place in a cheesecloth-lined colander until some of the liquid has drained off. 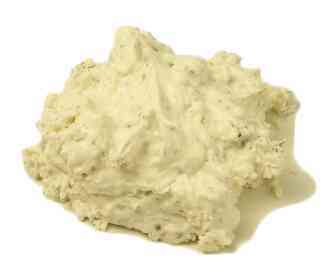 whey cheeses Most cheese is made from curdled milk that has been drained of the watery whey. 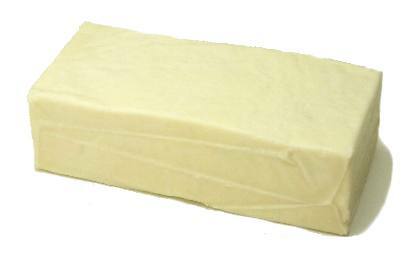 Not wanting to waste the nutrient-rich whey, our ancestors discovered that they could extract more cheese from it by cooking it until the remaining proteins coagulated. 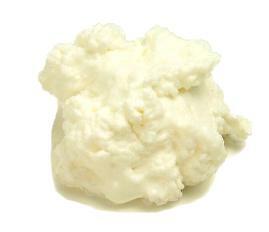 Examples of modern-day whey cheeses include ricotta, Gjetost, Manouri, Mizithra, and Requeson. white cheese See cream cheese.